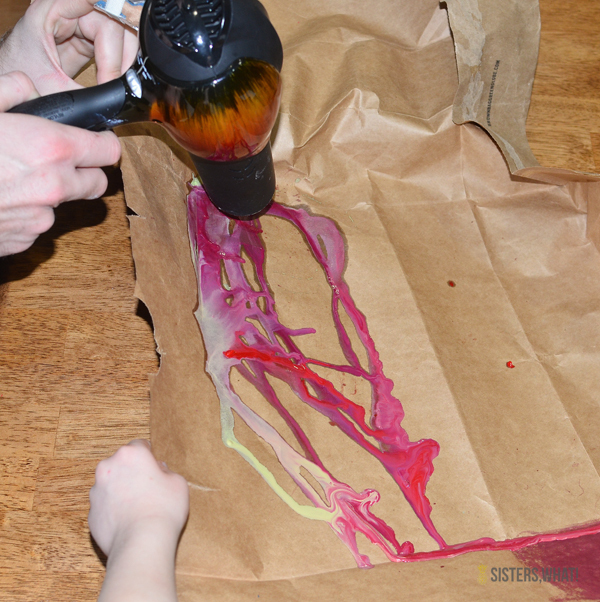 ' DIY wrapping paper with Melted Crayons - Sisters, What! 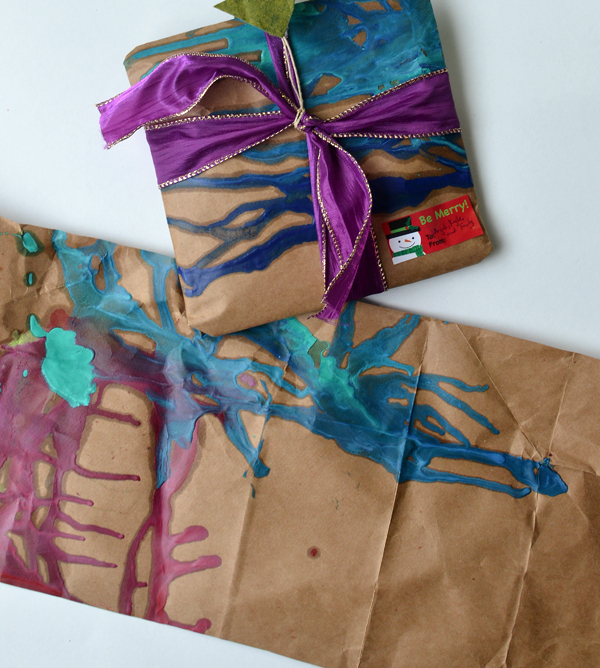 I showed you a sneak peak yesterday of my husband and sons melted crayon wrapping paper. It was really just experimental, but it turned out pretty cool. 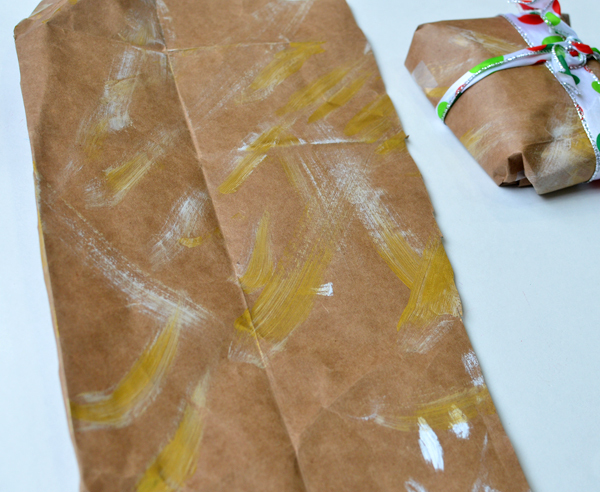 For the past few years, we started the tradition of decorating brown paper for wrapping paper. It usually involves kids painting wherever and whatever they want. They love it and we love it. 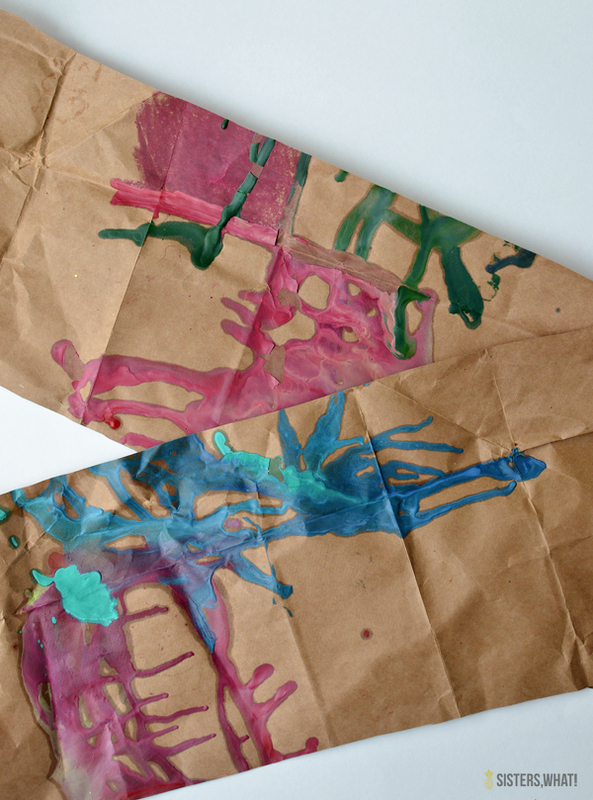 This year, we had TONS of old, broken crayons and my husband thought it'd be fun to try melting them on the brown paper. Captain Awesome thought it was a great idea and helped him execute it while Small One just painted the paper. I love what he created too. This is such a great way to reuse and recycle brown paper. Pick out matching crayons or color combos that you want to run together. It's helpful to have an extra set of hands to hold the paper up while you blow dry. Place the crayons in a little pile on the paper and start blow drying them. 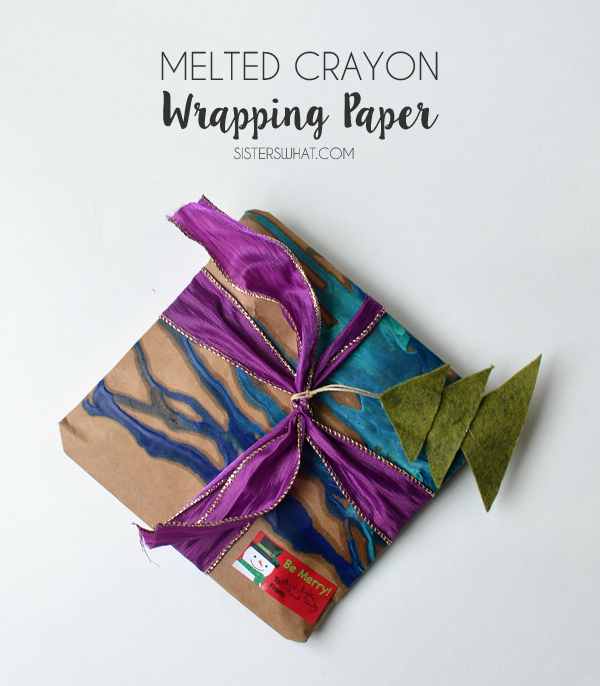 As they start melting, you might want to maneuver the paper up so they can create "streams" in different directions on the paper.